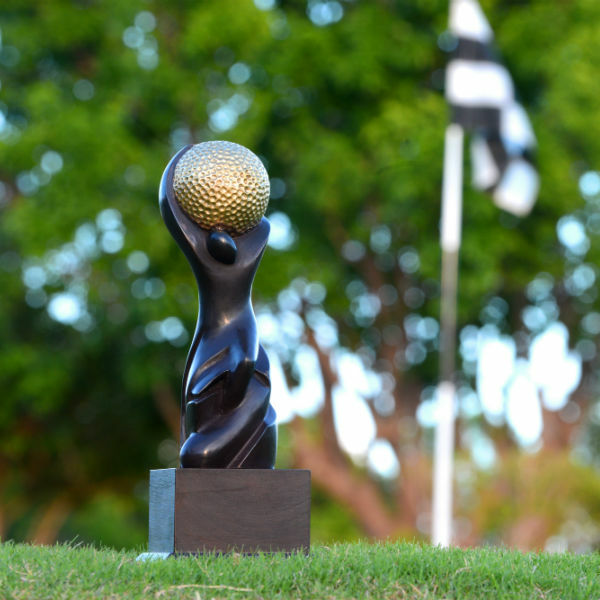 Receiving a World Golf Award™ is a world-class achievement that provides you, the Winner, with the ideal marketing tool to promote your winning products and services ahead of your competitors. The World Golf Awards™ Winner Trophy is perfect for display in receptions, club houses or trophy cabinets to promote your achievement of being voted the best of the best within World Golf Awards™. The World Golf Awards™ figurine is cast in bronze and sits atop a hardwood plinth onto which a brass plaque is affixed and engraved with the award name and winner name. Delivery can be expected approximately two weeks from receipt of payment.